This topic contains 1 reply, has 2 voices, and was last updated by Steeve Caron 1 year, 9 months ago. 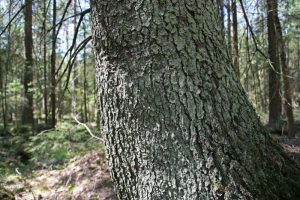 The 12th Finnish forest inventory (2014-2016) shows that there are more forests than ever growing in Finland. The growing stock is today 2,5 billion cubic meters and every year 25% of the annual increment adds on with more wood. The annual increment is also rising from 105 million cubic meters (2013) to 110 million cubic meters due to the last inventory. The annual removal of wood was 82 million cubic meters in 2015 of which 59 millions were industrial wood.